Sarah Marshall was born in 1832 in Craven County North Carolina near New Bern. She married freedman James Boone in 1847 when she was 15. Prior to the start of the Civil War, the couple moved to New Haven, Connecticut where they lived the rest of their lives. Sarah worked as a dressmaker. She spent lots of time making, prepping, and showing her work. She also spent lots of time fitting dresses on clients. One thing that is true of dressmakers is that they have to do lots of ironing. Sarah was no different. 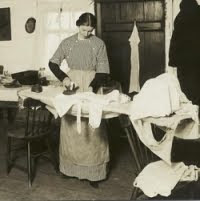 Ironing has been going on for as long as people have demanded their garments be wrinkle free. The oldest known examples of this come from….the Vikings. Yes, apparently you should be well turned out before you sack and burn. 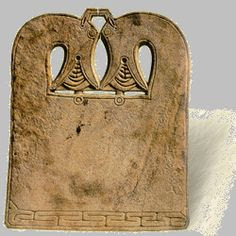 Viking ironing boards were made of whalebone, and they used heated rocks or glass to smooth their fabric. I could not find any information about how the craze of ironing spread throughout Europe, but I suspect it was the success the Vikings had at invading surrounding non-Viking cultures and infusing them with their own people and customs. In any case, the newly wrinkle free Europeans needed something other than whalebone because there were way too many people ironing. This led to using whatever table they had handy. The process was simple. You heat up a piece of iron, put some kind of cloth over your table so you don’t ruin the wood, put whatever you mean to make wrinkle-free on top of the cloth, and make it happen. Not every woman ironed on her table. Some of them got the idea to get a board and balance it between two chairs. 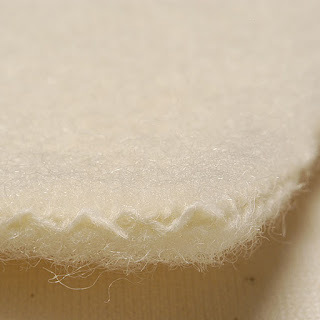 They would then put some kind of cloth on the board, put the thing they wish to make wrinkle-free on top of the cloth and make it happen. By the 19th century, ironing had not only been exported to the Americas, but there was apparently lots of advice about the best type of cloth to put on your board or ironing table in order to get the smoothest look. I was pretty mortified until I did some more reading and discovered that they weren’t suggesting that women should go down to their local pond and skin the swans. No, apparently there is a fabric called Swanskin. Some enterprising company started manufacturing this stuff for the stated purpose of covering your board or table. It was dyed bright red. The manufacturers of the time tried to convince women not to use their red cloaks…which apparently was a thing, to cover their boards or tables, assuring them that was a low-class move. They HAD to have the red swanskin covering. Hard selling women on nonsense since the beginning. As you can imagine there were now Better Homes and Gardens types of columns and magazines marketed to women, and ironing was discussed on a regular basis. There were varying opinions of what sort of board to use, how long it should be, what you should cover it with, and the best way to get that wrinkle-free look. 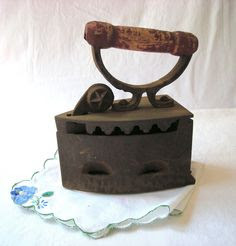 Now that women were being told that they had to get a specific type of fabric and board on which to iron, the invention of an object that was specifically for ironing couldn’t be far away, and it wasn’t. In 1858 a fellow by the name of W. Vanderberg took out a patent for an “ironing table”. Somewhere around 1861 another dude, Isaac Ronnie Bord of Georgetown, Deleware took out a patent for “an adjustable flat horizon surface that could be used for the pressing of garments, undergarments and bed linens”. This is where Sarah Boone, dressmaker, enters the story. Sarah realized that the designs of all of the objects available to her were sort of useless in terms of making the activity more efficient. At which point, she designed her own ironing board. Her board was specifically created to make sure that the sleeves could be ironed without any creases. 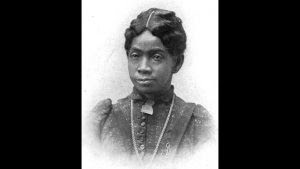 Sarah Boone was one of three black women in her day who created inventions for the home. Her designs influenced the current ironing boards we have today. Every single time you open up your handy dandy, easily stored ironing board before that big meeting, or whatever has made you decide you need to look a bit more spiffy, you have Sarah Boone to thank. For all of you out there who hate ironing…at least you don’t have to go run down red swanskin, and it isn’t necessary to buy a huge piece of immovable furniture that is dedicated to nothing else aside from “pressing” your garments, undergarments and bed linens. Thank you, Sarah Boone, for helping us to stay wrinkle-free.